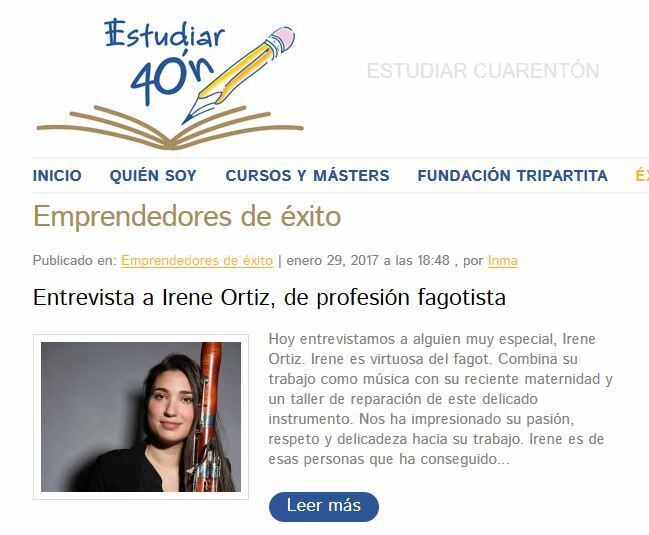 Irene Ortiz applies a multidisciplinary approach to music: as an artist, as a teacher and as a bassoon luthier. Ms Ortiz has also been responsible for different educational and chamber music projects with Ars Fagotto, using her instrument to bring music to her younger audiences. At The Bassoon Workshop she enhances, repairs and services instruments from bassoon students and performers. Entrevista a Irene Ortiz en Estudiar cuarentón, en su sección de emprendedores de éxito. ORQUESTRA DE CADAQUÉS MAHLER SINF 1.